Key Communications helps Australian businesses migrate their traditional servers to the cloud. Our OS of choice is Windows Server 2016 and we're able to support your business migrate from older versions. Why deploy your server to the cloud? Resources available to your server (processing power, RAM, disk space) are able to be scaled up as your business grows. Changes made are efficient and do not require the same labour as physical hardware. 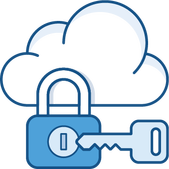 Our Cloud Servers are hosted in secure data centres in Australia. Cloud servers are protected from power outages so if your premises go down, your data remains intact and access is maintained. There may be cost savings when compared to investing in physical hardware on-site. A simple monthly cost ensures technology is up-to-date and resources are adequate for the task. 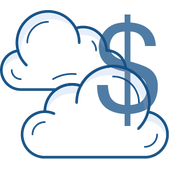 Costs are typically reduced as there is normally little to no upfront cost for deploying a cloud server. We prefer Windows Server 2016. Windows Server is widely accepted as the best enterprise-grade server as it is fast, secure and built for Windows devices. Our IT Network Specialists will migrate your old server to a Cloud Server, minimising downtime and ensuring adequate resources are available. We can configure remote access (RDP) for virtualised Windows 10 environments. Access your workstations from anywhere! Give us the responsibility of managing your Cloud Server and we will ensure it is running smoothly, allowing you and your staff to focus on your business. Not sure how much processing power or RAM your server needs? We will tailor a solution to your business. Scaling up is easy too, as we can allocate additional resources efficiently without travelling onsite. 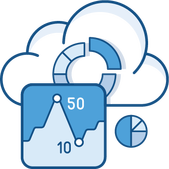 Our experienced team of professionals can deploy a cloud server in less than 24 hours. We can deploy other servers too! While we prefer Windows Server, ask us about our other offerings including Linux (RedHat, Debian etc). We will help you choose the correct option for your business. Having a Cloud Server has particular benefits for disaster recovery. Ask us all about this today! Looking for a quote? We'd love to chat to you about how deploying a Cloud Server can support your business! When providing a quote, we prefer to look at the entire business and analyse how technology is being used. Here at Key Communications, we stand by the solutions provide and incorporate a thorough investigative process to ensure the technology deployed will be effective for your business. Want to book in a consultation? Get in touch today!